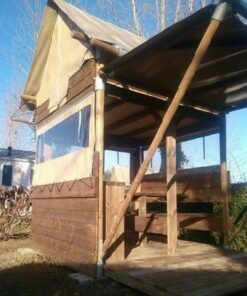 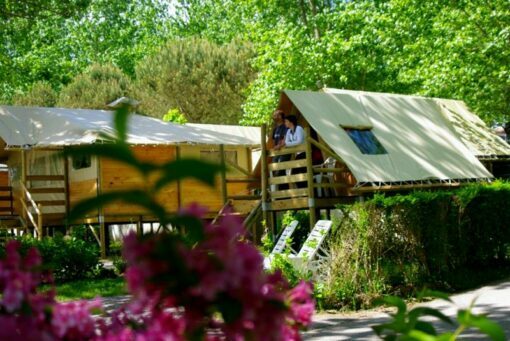 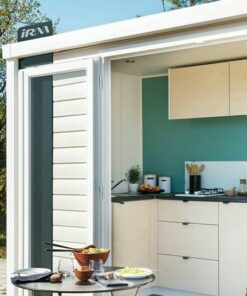 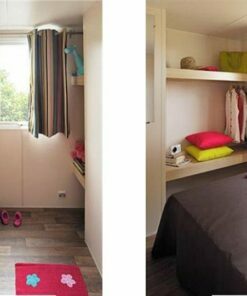 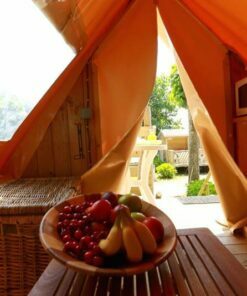 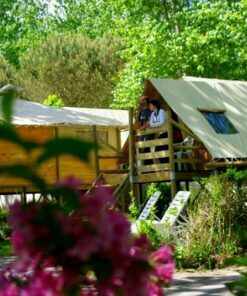 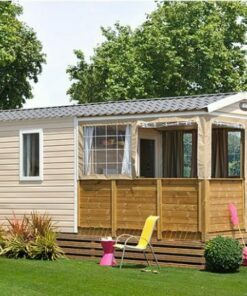 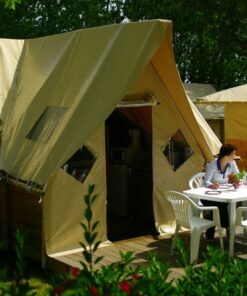 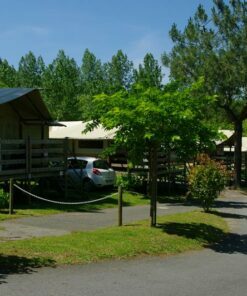 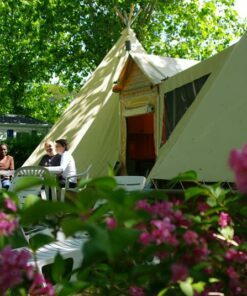 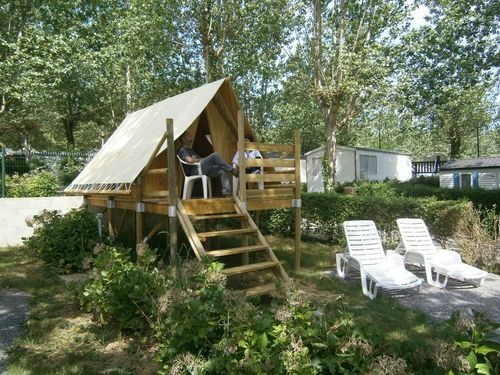 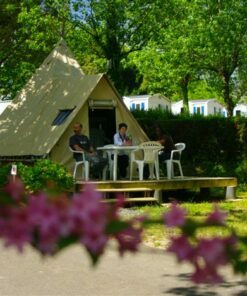 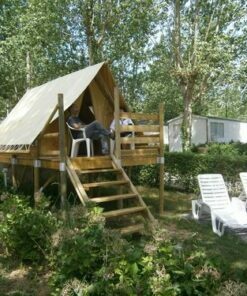 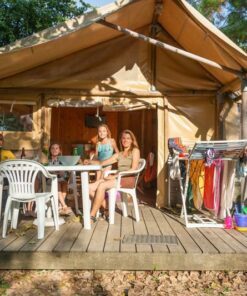 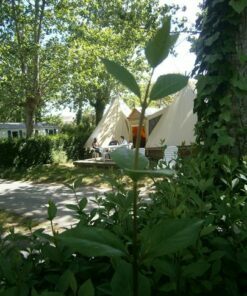 Go on holiday next to Biarritz for a getaway for 2 in a Lodge tent, it’s really tempting, let’s go there? 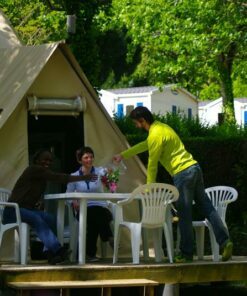 Renting lodge tent Beltxu 2 people in Bidart near Biarritz. 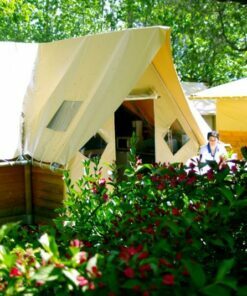 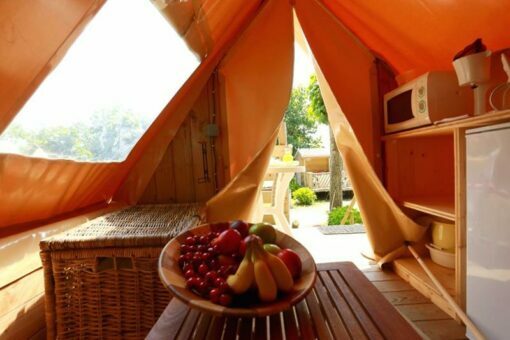 Beltxu Lodge is ideal for couples who want to camp in Biarritz without setting up a tent. Imagine yourself at a height, nestled in this wooden and canvas case equipped for you. 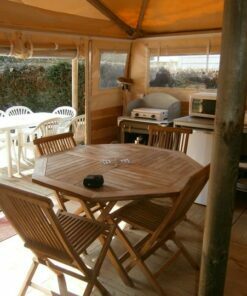 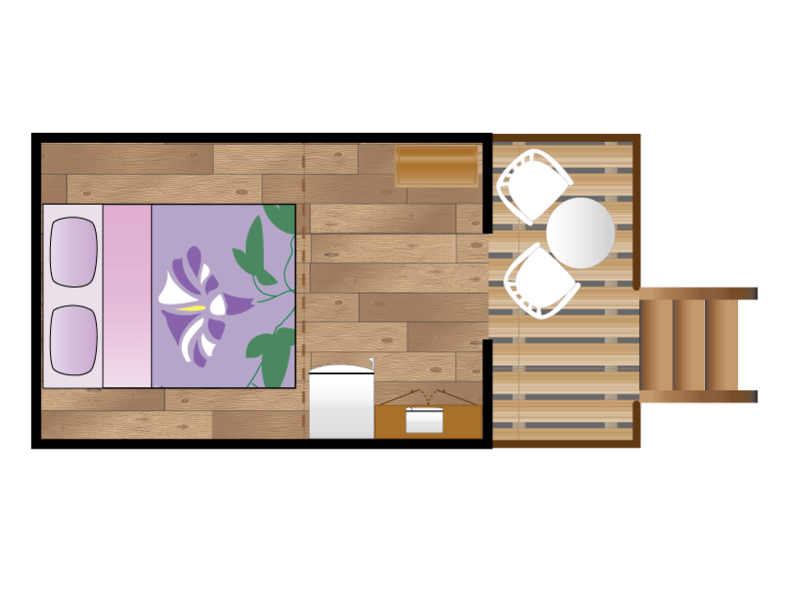 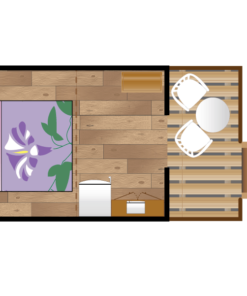 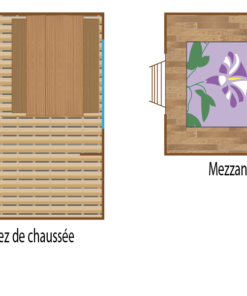 The lodge has a small living space and a raised terrace. 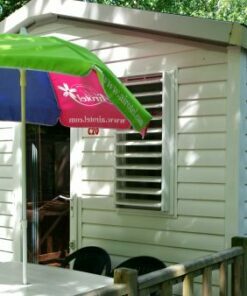 Finally, it should be noted that the Beltxu model Lodge is not equipped with toilets and is located near the collective toilets blocks.